Musk may not have trouble telling people to leave, but most other bosses do. In the rest of the world, firing someone means telling another human you’ve made the decision to cut off his or her livelihood. When you recruited that person yourself, the termination stings twice as much. Because the process is so unpleasant, many bosses avoid firing people who have long overstayed their welcome. Unfortunately, having those difficult conversations is part of the job, and when someone needs to go, you should never sit on the decision out of guilt or dread. When team members fail to live up to expectations, their low standards don’t just affect the company’s bottom line: Given enough time, a bad worker will encourage others to lower their productivity and drive the best employees away. In other instances, some employees simply don’t fit their roles. Managers who continue to let bad fits flounder are doing a disservice to the company and the employee. Underperformers usually don’t want to sabotage their employers. In most cases, they’re just unhappy. Regardless, the boss needs to end the relationship so both sides can move on. Firing the person feels easy — Firing someone should always be difficult. 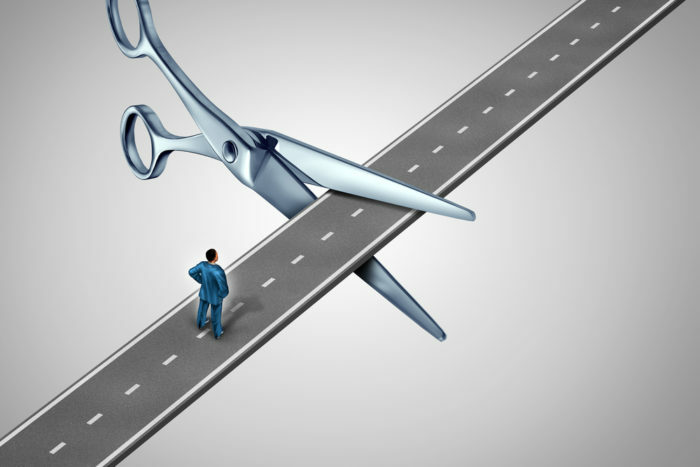 If the decision is easy, you waited too long to cut ties. It’s better to fire someone too early than too late. Watch for the warning signs, provide second chances, and offer performance guidance, but if the employee doesn’t improve, cut the cord and move on. We hired one employee who was an obvious mismatch from day one. Because many of us participated in the hiring process, no one felt personally accountable. The tension grew, and by the time we knew we had to move on, we’d damaged his short-term prospects and harmed team morale. Others are affected — The impact of an underperforming teammate is often felt across the staff. After surveying more than 1,700 professionals, Eagle Hill Consulting found that 68% of respondents felt low performers hurt workplace morale, and an additional 44% said low performers increase workloads for high performers. Respondents also reported that managers typically dedicate more time to managing weaker team members, ultimately dropping the ball elsewhere. Team members should be the last to figure out that a new hire isn’t working out. If people start asking why an individual is still around, management has already failed. When other team members feel comfortable expressing their concerns, it’s a surefire sign the underperforming employee needs to go. You feel uncomfortable giving the individual a recommendation — If a bad hire stays so long that you feel personally insulted by the individual’s performance, that’s not on the employee — it’s on you. Cut ties with underperformers while you still feel comfortable recommending them to other companies. Just because they don’t fit your business doesn’t mean they’ll fail in another company or position. It might feel premature, but both of you will be better off with an early exit. Keeping a struggling employee on board might feel like an act of kindness — but it’s not. Don’t wait until resentment sets in to let go of a dud hire. Acknowledge the mistake, sit down for a tough conversation, and part ways on good terms.